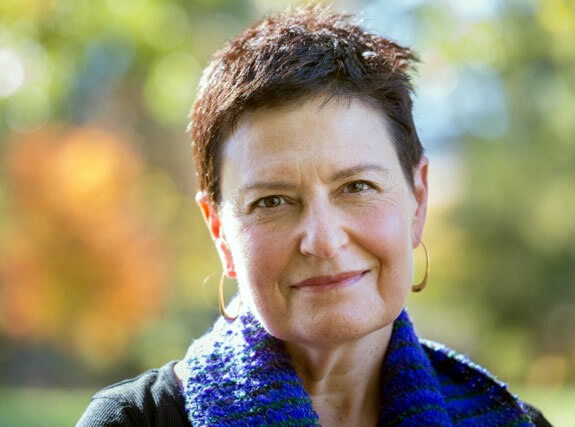 Environmentally Acquired Illness and Psychiatric Symptoms | Judy Tsafrir, M.D. In December of 2016 I wrote my first post about toxic mold after becoming severely afflicted with anxiety, depression, insomnia, headaches, massive bloating, urinary frequency and tinnitus in the context of doing a lengthy daily yoga practice involving deep breathing in a moldy basement. Please read my first post about this topic for additional background. After my own dramatic personal encounter with toxic mold, my consciousness about the potential profound impact that this bio toxin can have was raised. As a psychiatrist, it was particularly notable to me that my exposure resulted in the most common of psychiatric symptoms: depression, anxiety and insomnia. This lent credence to the hypothesis that the root cause of psychiatric illness is often neuro inflammatory in nature, and possibly much is the result of environmental exposure. As I mentioned in my first post, not every one who is exposed to mold toxins will become symptomatic. Only those individuals who have difficulty detoxifying mold toxins will be impacted by exposure. An entire family can be living in a moldy home, and only one family member who has an impaired capacity to detoxify will fall ill. This difference between people was highlighted this summer when I was vacationing with my childhood friend, Betsy, in the lush green mountains of western North Carolina. Most of the hotel rooms in which we stayed were carpeted, and I began to sleep increasingly poorly and started to feel more anxious and depressed for no reason. Betsy slept and felt well. The coin finally dropped when we were staying in a room that actually smelled moldy, and I was utterly unable to sleep and found myself getting up every half an hour to urinate. Suddenly I realized that this was exactly how I had felt when I had gotten sick two years previously when doing yoga in the moldy basement. Needless to say, I could not get out of that room fast enough. It now adds a whole layer of complexity to traveling. When I travel, I know that I need to find food on the menu that does not trigger an auto immune reaction, but now in addition, I need be aware of the possibility of encountering toxic mold in my lodging. This was absolutely not on my radar previously. It maybe true for you too, and an important factor to consider when making travel plans. Conversely, there are some people who only feel well when they are traveling and away from their homes which are contaminated with toxic mold. Many people are unaware that their homes have sustained water damage and that they are being regularly exposed to mold toxins. They do not link their chronic headaches, anxiety, gastro intestinal complaints and joint pain to mold toxins. The whole issue of mold toxicity is much more pervasive than has been previously appreciated and has huge implications for psychiatric practice. “How do environmental toxins make people sick? I now routinely test most patients in my psychiatry practice for mold toxicity. I believe that it should be ruled out in cases of depression and anxiety that is accompanied by other medical and neurological symptoms, whether or not the patient is aware of water damage in the home. Recently I have seen several new patients with histories of severe bipolar and psychotic disorders with multiple medical and neurological symptoms who have tested positive for mold toxicity. I have prescribed treatment to promote the elimination of mold toxins and am hopeful that this approach will have a positive impact upon their psychiatric conditions. Laboratory testing for mold toxins has become less expensive and is done via urinalysis. Great Plains Laboratory has a new test, GPL Myco Tox, that is much less costly and provides more accurate results than previous tests, and detects a wider variety of mold toxins. The test is very sensitive. It is possible that the test is so sensitive that it is detecting mold toxins, but that their presence is not actually causing the psychiatric symptoms. This remains to be discerned. Treating environmentally acquired illness is a new field, and there is so much to be learned. There is pioneering work to be done correlating levels of mycotoxins with symptomatology and tracking response to treatment. I believe it is the future of psychiatry. “Toxic” Heal Your Body from Mold Toxicity, Lyme Disease, Multiple Chemical Sensitivities and Chronic Environmental Illness, the book pictured at the beginning of the post, is brand new and authored by Neil Nathan, MD , a family practice doctor in California with a long standing interest and expertise in treating chronic acquired environmental illness. I highly recommend it. 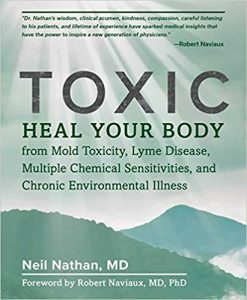 The writing is very accessible to the lay person and is based on Dr. Nathan’s wealth of experience treating these conditions. 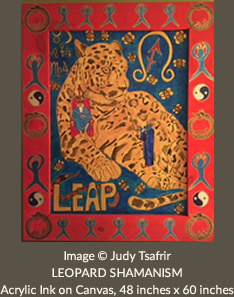 Mary Ackerley, MD is an integrative psychiatrist who I admire with a practice in Tuscon, Arizona. She is another expert in the field of chronic acquired environmental illness. Below is an absolutely fascinating YouTube video of an interview with her entitled “Brain on Fire.” Both Dr Nathan and Dr Ackerly are members of ISEAI. Dr. Tsafrir, I appreciate this new blog post and all that have come before. You are an inspiration! I’m wondering if you are familiar with Annie Hopper and her program for brain remapping called Dynamic Neural Retraining System (DNRS). Similar to you and Annie Hopper, I have experienced food, chemical, environmental (including mold), and EMF sensitivities. I am much improved, but with significant remaining issues, both psychological and physiological. My current effort to heal is directed toward gaining acceptance to a DNRS seminar in Austin in early December. If you, or others, are not familiar with Hopper/DNRS, I think you will be glad to know of her approach. I have never actually met anyone who has done her program. I heard that it requires “Olympic Dedication.” but that it really works. I would love it if you would write again after you take the training and let us know how it was and what you think. Thanks for your response. If they accept me, and I come through with the required dedication, which I fully intend to do, I will be happy to report my results. Thank you for this excellent, important blog post! You are welcome. Its so important to raise consciousness about this. Glad to be able to do my part! This is so excellent – I already know how in tune you are and your move towards a different medical framework for treating what can end-up as psychiatric illness symptoms (Walsh protocols), but that you are continuing that and working with the ‘environmental illness’ concepts front and center now is even more awesome. My personal experience and medical history validates this approach. I so feel for those folks who you mentioned have suffered from Manic Depression with psychotic features as that is my personal story as well. And my story that I think you are familiar with is that getting these forms of treatment after ending psychiatric care (year high doses lithium, of course, other meds to counter symptoms, of course, made worse and almost hospitalized, of course) were what finally put me on a path to better health. I think I really can’t process how sick I was back then. And I have a really hard time dealing with ‘bipolar advocates’ who keep trying to promote they have a chemical imbalance, have to take psychotropic medications, those who don’t – like me who speak out against it to prevent others from becoming more disabled or dead – are ‘stupid’ and ‘dangerous’ for suggesting otherwise, etc. I wish I was more of a model for others to look up to, my illness issues improved with medical care but I still deal with them – but for someone who has experienced the fairly uncommon severe medical-psychiatric condition of Manic Depression… a success story in many ways. Folks can heal – and it is only by receiving medical care from doctors like you and so many others, that it becomes possible. They have to be helped to get to root causes of symptoms, and made to understand that whatever expression of illness they are having or have suffered from can come from many causes. Imbalance yes. Something that psychotropic medications are proven to treat and therefore they have to take for the rest of their lives, no. So want that to stop. Is just so sad what the lies put onto the public by Big Pharma and doctors who simply want to write prescriptions and make money have done. ECT I can’t really process. And many of the ‘bipolar advocates’ out there have had it as they did buy into the lie that was fed to them, took and take medications, and got worse to the point they had no other option offered within that medical model. Going the root cause route and actually searching for underlying causes of symptoms is not any easier – that I can attest to, I’ve done both models of care – but it offers the opportunity to heal and move forward in life. And to share and pass that information on to others like you are doing, and like I have done. I’ll share in case it will help anyone – my book is: Bipolar 1 Disorder – How To Survive and Thrive. And I blog about these issues and write about medical studies etc at: http://www.bipolar1survivor.com. Thank you Molly for writing and for sharing. Your book and blog both sound like great resources. It is so important to share our experiences so that others may learn from what we have been through and also to feel less alone. The existing conventional medical/psychiatric paradigm with a pill for every ill is totally broken and toxic. I do think that consciousness is beginning to shift. I have recently attended some conferences hosted by the Institute for Functional Medicine that is all about looking for root causes of illness and promoting health. The attendance and interest is exploding. So its a very good thing. Thanks again for writing. That is awesome and I hope you’ve recovered well from your setback. Watching the video, will have to re-watch, so much information! She is a super knowledgable thoughtful person. Great addition to your list. I so appreciate your work and the way you connect dots like this. I think I first discovered your posts years ago when I was connecting my own dots with methylation and histamine intolerance (post Lyme Disease). So nice to know you are nearby, too (I am in Lexington). Mold sensitivity is one of my puzzle pieces as well, due to my methylation issues/highly sensitive constitution. I didn’t travel for years, but have found ways to manage. Our second trip to Disney we were put in a moldy/musty room, so I complained, and thankfully we were moved. I only stay places without carpeting for starters, but obviously that isn’t a guarantee! I also make sure I get accommodations with a kitchen and nearby Whole Foods/natural foods store, so I can prepare my own food. It’s not that ideal, adventurous, easy-breezy vacation experience I used to have with food, but it keeps me feeling my best, which is the ultimate goal. It can be so challenging to live life as a sensitive person, but it is doable when there are practitioners like you & resources like this. It’s the reason I became a Functional Medicine Certified Health Coach, to help others realize they aren’t crazy, they make sense, and they CAN feel good & get their lives back! Thank you, Sharon for writing. Wow, the whole issue of travel is so much more complicated than when I was not aware of all of these factors like food sensitivities and mold. And yes, there is that infuriating experience of being treated like a crazy person, when we know 100 % what we are experiencing is so real. The interview that I included at the end of the post with Dr. Mary Ackerley is really brilliant. She talked about how so many patients with Lyme Disease are actually suffering from mold toxicity which made them vulnerable to contracting Lyme. She characterized mold as Mrs. O’Leary’s cow that kicks over the bucket and starts the fire. Mold just wreaks havoc with our immune system and makes us vulnerable to all sorts of other infections and auto immune reactions. Its actually an epidemic and seems to be such an important condition to be aware of in terms of helping patients heal. It sounds like you have been through alot. I am glad you mentioned treating the gut. Its so important and one of the central approaches that I use in my practice. The impact of an anti-inflammatory whole foods diet cannot be underestimated as well as the judicious use of nutrients to supplement. And of course, cultivating community, joy and peace.